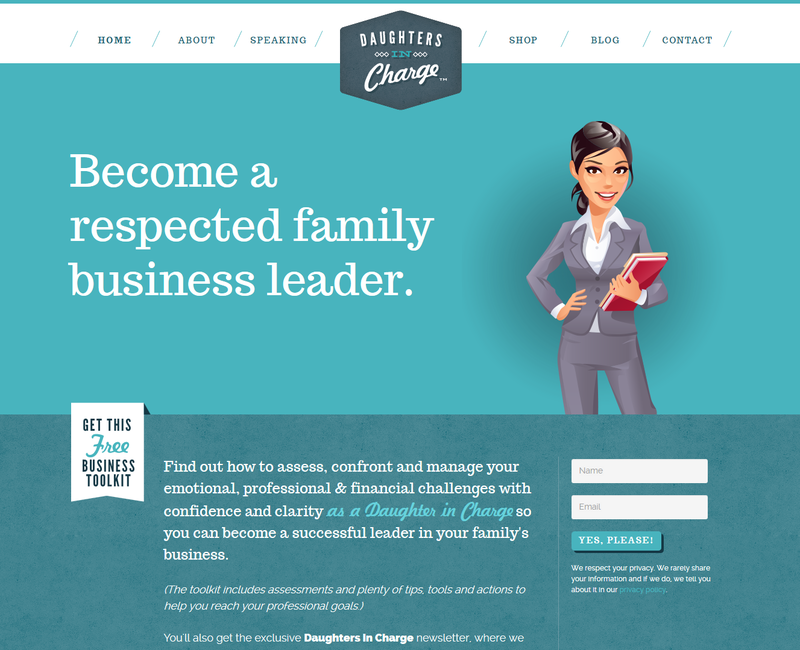 Daughters in Charge is an organization committed to helping young women find personal fulfillment and financial success as a leader in their family’s businesses. The client came to us wanting to design a completely new brand that would appeal to women executives, specifically daughters in family businesses. Their target market is women ages 25-45 so the design + site needed to feel fresh and modern. We designed a fully responsive site with a sophisticated, edgy and fun feel that exudes confidence. The site utilizes a blue-toned color scheme that speaks to the modern professional woman without seeming “girly”.